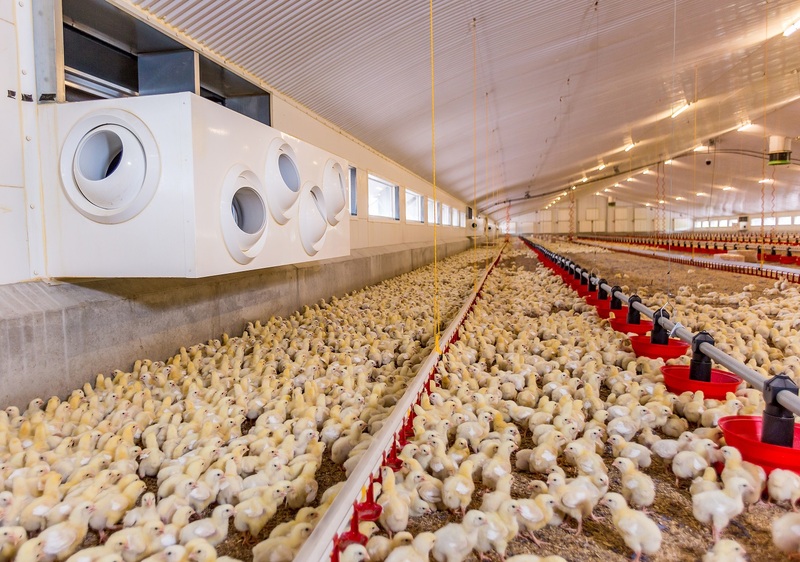 VentMax units deliver controlled ventilation to your commercial poultry shed, livestock or glasshouse unit, for optimum bird comfort and productivity. VentMax units have an intelligent ventilation control system that manages air temperature, pressure and movement throughout your poultry shed. They are designed to be quieter than conventional ventilation systems, to maintain a calm and productive environment for your poultry to thrive. With VentMax ventilation units strategically situated throughout your shed, air enters through their directional nozzles which can be adjusted to suit specific air flow patterns and distribution. These nozzles ensure an even temperature and movement of air throughout the house, whilst keeping the air movement above bird height to prevent any wind chill effect. The exhaust air is removed at eaves height, above the supply nozzles, removing the need to treat the air within the envelope of the apex, and reducing energy consumption. Each VentMax unit has a separate supply and exhaust fan to regulate and maintain the set air pressure within the shed, helping achieve a more controlled environment. For optimum zone control, each VentMax unit is fitted with intelligent controls so it can automatically adjust to conditions in its vicinity, or respond to a manual override. When underfloor heating is present, this can also be controlled from a manifold on each unit, for optimum temperature control flexibility.